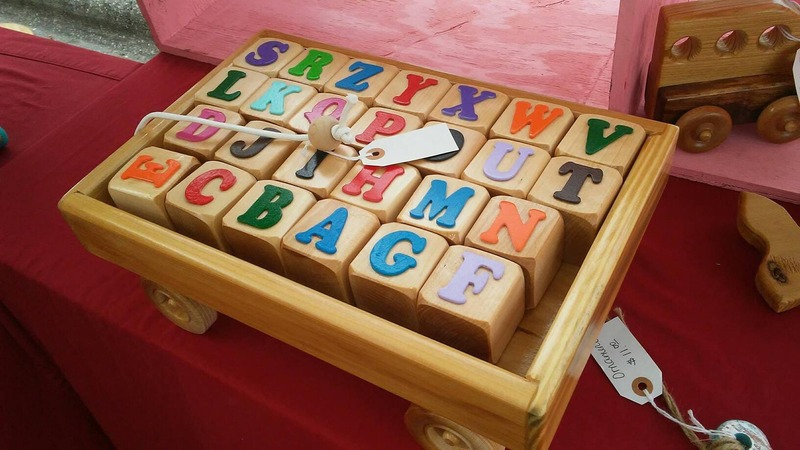 Alphabet blocks are made from Poplar and Oak wood as pictured. The wagon is made out of oak and birch, complete with maple wheels and rope pull. 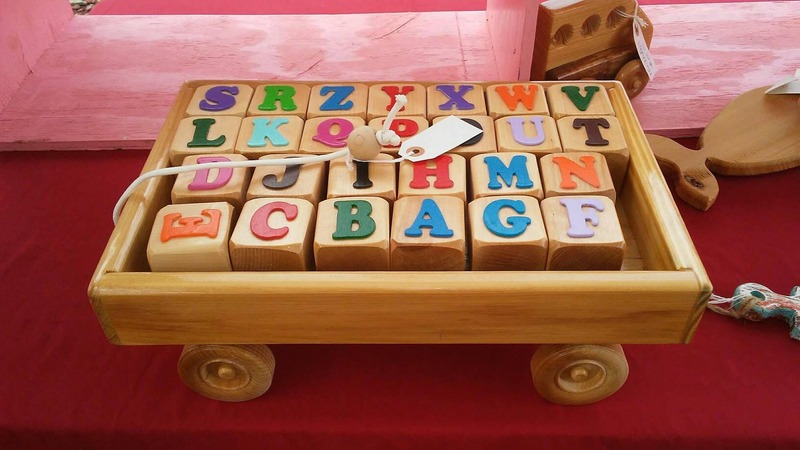 This unique item is three toys in one - a pull toy wagon, and a complete block alphabet set for fun learning, and a puzzle. All wood is finished with non-toxic, child safe, eco-friendly oils and finishes. The block set can be customized for a boy or girl, in your choice of color finishes. The Wood Nook would be happy to make this toy unique to your child with child's name, date of birth, name of gift giver or personalized to your liking. Wagon measures 16.5" Long, 10" Wide, and 4.5" High. Blocks measure 2 X 2 X 2" each. Product can be ordered in your choice of wood - oak, teak, mahogany, etc., and finished to your liking - call The Wood Nook for details - (401) 258-2157 or email us at woodnookllc56 [!at] gmail.com. The blocks are amazing and The Wood Nook was super helpful with specific requests. 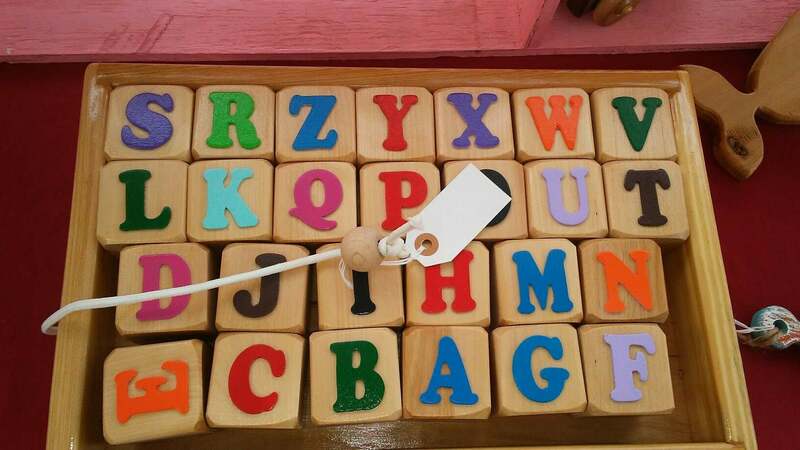 The blocks are nice and chinky sized, perfect for little hands, much better then the mass produced tiny ones at the big store. My recipient loves it! She said it's absolutely beautifully made. I'm excited for her son, her future children, and future generations to play with these for years to come. Well made quality blocks and wagon ! !